With deep rounded sides rising from tall straight feet, each painted to the exterior with scrolling hibiscus, qiukui, above a band of lappets at the foot, the interiors with a central medallion containing a further floral spray. Note: Compare with another Qing dynasty bowl of this pattern from the Percival David Foundation collection with a Kangxi mark, illustrated by R. Scott, For the Imperial Court, no. 39, p. 108, where the author mentions that the yellow hibiscus had been a popular subject with artists since the Song period. This pattern is inspired by the palace bowls made during the Chenghua reign (1465-1487). 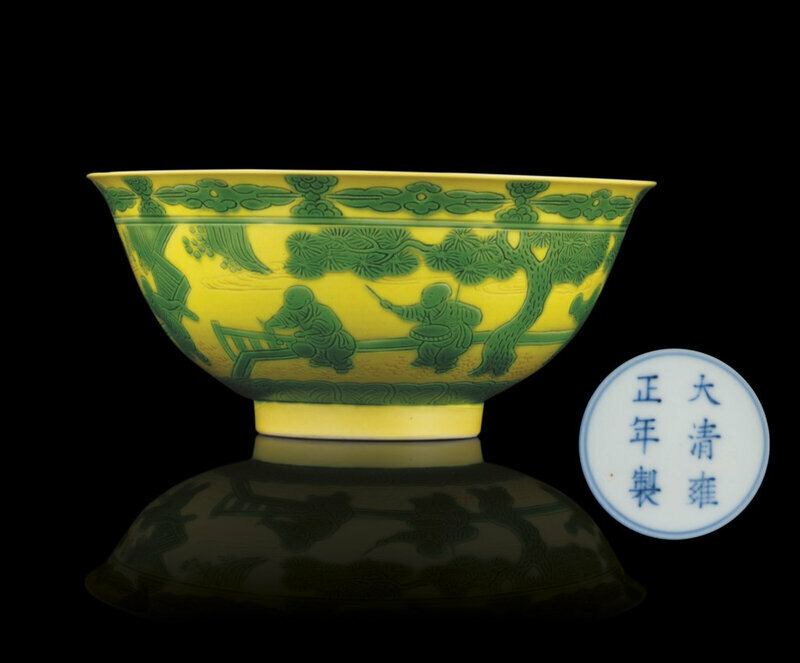 For an example of the Ming dynasty Chenghua prototype with this design, see the bowl exhibited at the O.C.S. 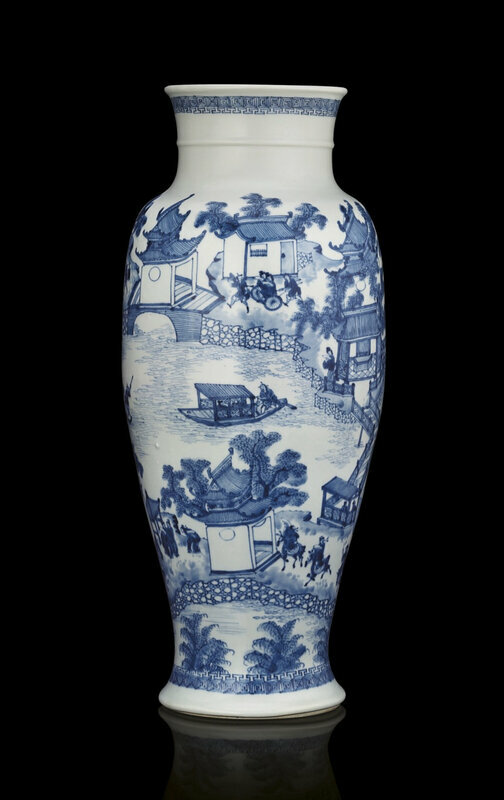 Exhibition of Chinese Blue and White Porcelain, 1953, Catalogue, no. 101.